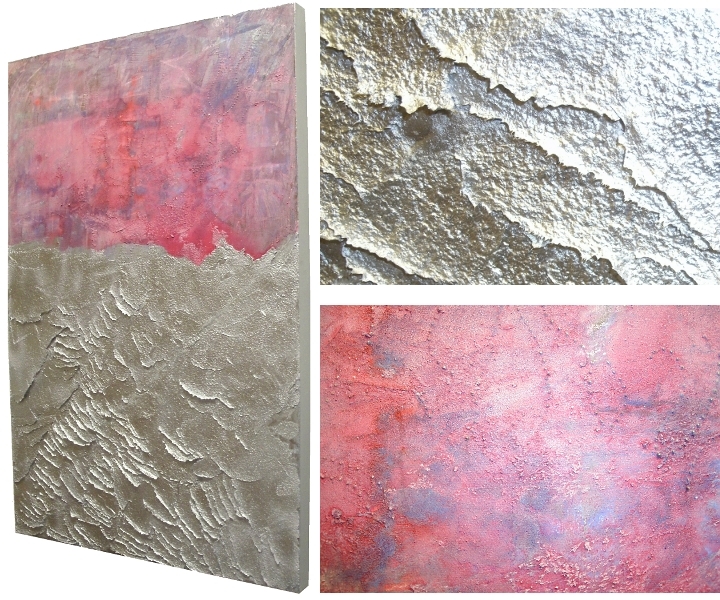 This painting depicts a metallic silver, textured landscape with a vibrant pink sky. 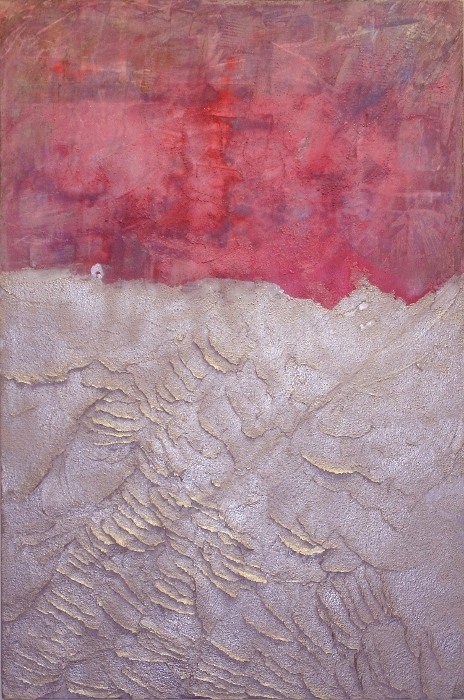 This vibrant, textured artwork comes with a Certificate of Authenticity, signed by the artist. Materials: Acrylic and metallic paint. Texture paste.